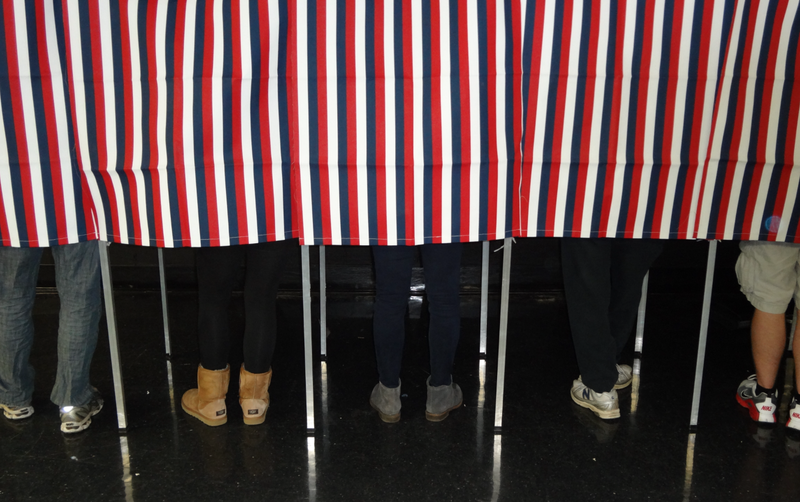 Which States Have The Most Restrictive Voting Laws? Republican candidates are poised to gain next month from new election laws in almost half the states in the U.S., where additional requirements defy a 50-year trend of easing access to the polls. This infographic shows where it's the most difficult to cast your ballot. In North Carolina, where Democratic U.S. Senator Kay Hagan's re-election fight may determine the nation's balance of power, the state ended same-day registration used more heavily by blacks. A Texas law will affect more than 500,000 voters who lack identification and are disproportionately black and Hispanic, according to a federal judge. In Ohio, lawmakers discontinued a week during which residents could register and vote on the same day, which another judge said burdens lower income and homeless voters. While Republicans say the laws were meant to stop fraud or ease administrative burdens, Democrats and civil-rights groups maintain they're aimed at damping turnout by blacks, Hispanics and the young, who are their mainstays in an increasingly diverse America. Texas found two instances of in-person voter fraud among more than 62 million votes cast in elections during the preceding 14 years, according to testimony in the federal case. "You're seeing the use of the election process as a means of clinging to power," said Justin Levitt, who follows election regulation at the Loyola Law School in Los Angeles. "You have more states passing laws that create hurdles and inconveniences to voting than we have seen go into effect in the last 50 years."